Downtown Brattleboro, known for it’s interesting and unique artsy vibe, is an excellent place to spend some time during these cold winter months. So many of us tend to stay indoors, out of the harsh elements of winter, but we urge you to do exactly the opposite. It doesn’t matter what the weather does in Brattleboro; there’s always something fun and exciting going on here. 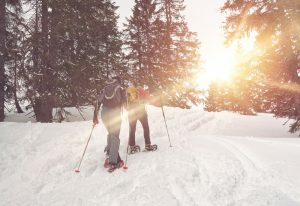 Book your room at our wonderful Bed and Breakfast, and take part in the best winter activities Brattleboro has to offer. At the Inn on Putney Road in Brattleboro, Vermont, we are busily getting ready for another holiday season. Next week, families around the country will gather around their traditional holiday tables, thus beginning a month-long celebration of joy and giving. With a wide variety of shopping and holiday festivities to enjoy, there’s no better place to unwrap new holiday memories than on the charming Vermont town of Brattleboro. Whether you choose to join of for holiday shopping, dazzling light displays, a relaxing getaway, or other fun holiday-themed activities, you’ll find nothing but joy and merriment in Brattleboro throughout the upcoming holiday season. To get started on your getaway, book a room at our Bed and Breakfast today. These blustery fall months practically beg us to curl up in front of a warm fire, safely protected from the harsh elements outside. We can think of few things better than than curling up someone special and focusing on romance. In Vermont, there’s one romantic getaway destination that outshines the rest. In the charming town of Brattleboro, Vermont, you’ll find a romantic ambiance around every street corner, and in every restaurant and shop. Spend your days browsing the boutique shops in downtown Brattleboro, sipping wine at regional wineries, or taking in Vermont’s stunning show of fall colors. No matter how you choose to spend your time, theres no better place to reconnect than our Vermont Bed and Breakfast. Book your room today. Fall is officially here in Vermont, which means it’s one of the busiest times of year. People from all over the country flock to this stunning little corner of the world each fall to witness Mother Nature’s great fall color show. The beauty of fall in Vermont is undeniable. Everywhere you turn, from now through October, the hills are lit up in a variety of colorful hues, from the crimsons and fiery oranges, to bright pops of yellow and green. Though many choose to take in fall’s splendor from the warmth of their car, it can be even more invigorating and rewarding to embark on one of our regional hiking trails during the brisk fall months. Breathtaking views from the top while breathing in the crisp, autumn air is an experience you won’t soon forget. Book your stay at our Vermont Bed and Breakfast today, and discover another side of fall in Vermont. As we wind down the final few days of summer, it’s time to start looking towards another spectacular fall in Brattleboro, Vermont. Fall foliage season is already showing hints of its colorful hues. Soon, we’ll be surrounded by the vibrant reds, oranges, and yellows that have made Vermont famous. Whether you want to enjoy the beauty of fall foliage by hiking or driving, you won’t have to go far to see the finest fall foliage Vermont has to offer. Book your room at our Vermont Bed and Breakfast today. For maximum enjoyment, you may want to consider a midweek stay to avoid the inevitable fall crowds.